BAT is nurtured by the professionals who bring with them global expertise and decades of diverse experience. Our management team has a collective experience of more than one hundred person years and comprises well-qualified, veteran and brilliant individuals who combine business acumen with technical know-how. Equipped with rich domain knowledge, extensive cross-functional experience and wide technical expertise, they cultivate interactive, long-term relationships with clients. The management team guides the organization to its goal of providing high quality software solutions by efficiently managing the right team with the right skills for the right delivery and at the right time. Shriram Bhalerao, Chairman, has over three decades of experience in Biotechnology, Analytical instrumentation and Life sciences industry. He is the visionary Co-Founder and Chairman of B.A.T. Histremendous experience in scientific domains makes him an erudite mentor for giving strategic directions, managing growth plans, and developing customer relations. His understanding on the critical aspects of this knowledge-based and client-focused business ensures highest level of quality and data driven customer satisfaction. Shriram has to his credit setting up of Lab India – the largest supplier of analytical instrumentation and associated services in India. His long-term association with the industry experts gives B.A.T. an access to talented and knowledgeable people including Doctorates and post Doctorates across a wide range of scientific domains. As a strong supporter of qualitative education, Shriram is a trustee of Central Chinmaya Mission Trust worldwide, which conducts spiritual, educational and charitable activities. He is also a trustee of Shikshan Prasarak Mandali, which is one of the premier educational societies. Shriram’s in-depth business insights have helped grow the company from a startup to a global technology solution provider. As chairman, he is responsible for managing the business relationships, building partnerships, thought leadership, standardizing company policies as well as advising senior management on business strategic movements. 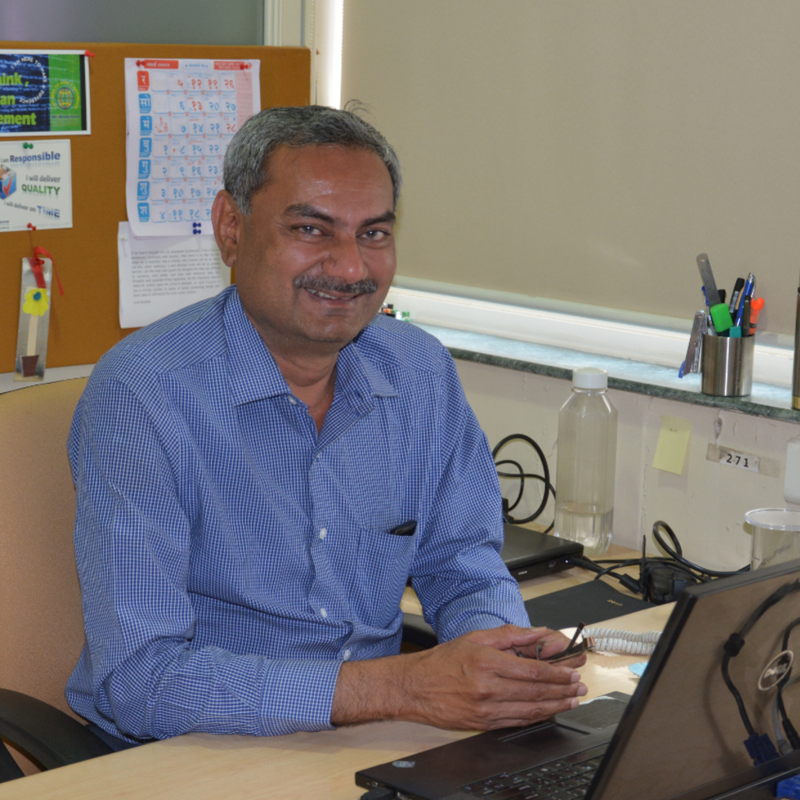 Prashant Mirajkar, President, brings more than 28 years of experience working on diverse platforms and environments. He has experience in various technology and business models providing innovative quality solutions on time and within budget. His expertise includes designing client engagement strategies, CxO interfacing, technical sales, client IT strategy, delivery of complex system, development and integration, business transformation and global delivery. Prashant has worked with clients in diverse domains including healthcare and life sciences, finance, airlines and governments. He has provided strategies and solutions to customers in the areas of embedded technologies, mobile technologies, product engineering, distributed applications and complex systems integration. He has held executive positions in companies including IBM. His primary responsibility at B.A.T is many folds. Apart from being responsible for entire operation of the company, he is responsible to provide high quality and cost effective solutions in a timely manner addressing customer business needs. Thus, he is responsible to develop capabilities and competencies within B.A.T. in sync with the technology and industry trends. His mission is to evolve B.A.T. as world-class organization delivering products and services globally. Embedded system architecture/ design and development; Process re-engineering, Strategic Technology Planning and product development. 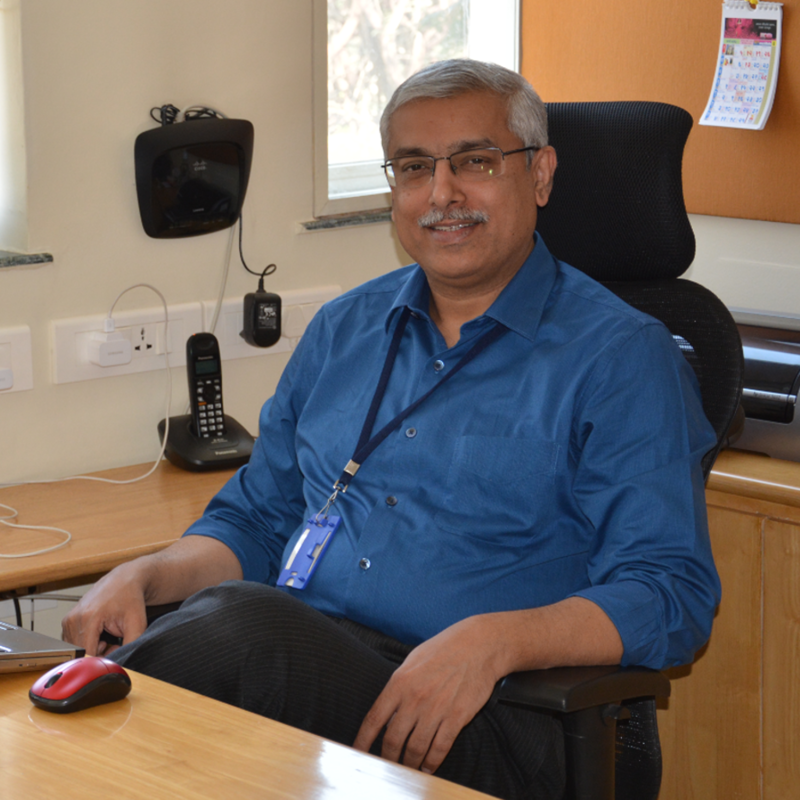 Dr. Rohankar has expertise in Hardware & Firmware design, VLSI and networking. 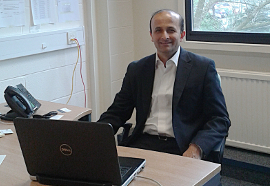 He has filed a patent for his research in wireless sensor network stack. 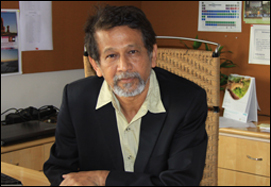 He has been associated with Indian Railways, Defense research organizations, Industry and Government undertakings. He plays key role in providing collaborative technical leadership to the Delta team. Prashant has around 8 years of experience in medicine and over 15 years in IT industry, of which almost 11 years have been in Business Development. He started his IT career in software development with a variety of consulting assignments before moving on to business development in UK and Europe for a number of India-based companies where he successfully acquired and managed accounts in multiple domains including Life Sciences, Healthcare, Telecoms and STM Publishing. His responsibilities at BAT include managing the UK operations of the company and ensuring the business provides maximum delight to the elite customers in the geography and continually extends its already formidable footprint. When not prowling the professional jungle, Prashant can be found in the calmer setting of the London suburb of Pinner where he lives with his family. In his spare time, Prashant is an avid tennis player and tennis official. Prashant holds a Masters in Computer Management and Bachelors in Medicine from University of Pune. Seemantinee Kanade, Vice President – Quality Management, brings over 38 years of valuable experience in manufacturing, marketing and quality systems. Seemantinee is responsible for setting-up and enhancing Quality Management system which is focused on good practices in Quality Assurance and Quality Control. She has responsibility to implement selected tools and techniques across the projects uniformly or diversely as needed to yield high customer satisfaction through enriched processes. She is responsible to develop and establish efficient and effective systems in all the business functions of the company. 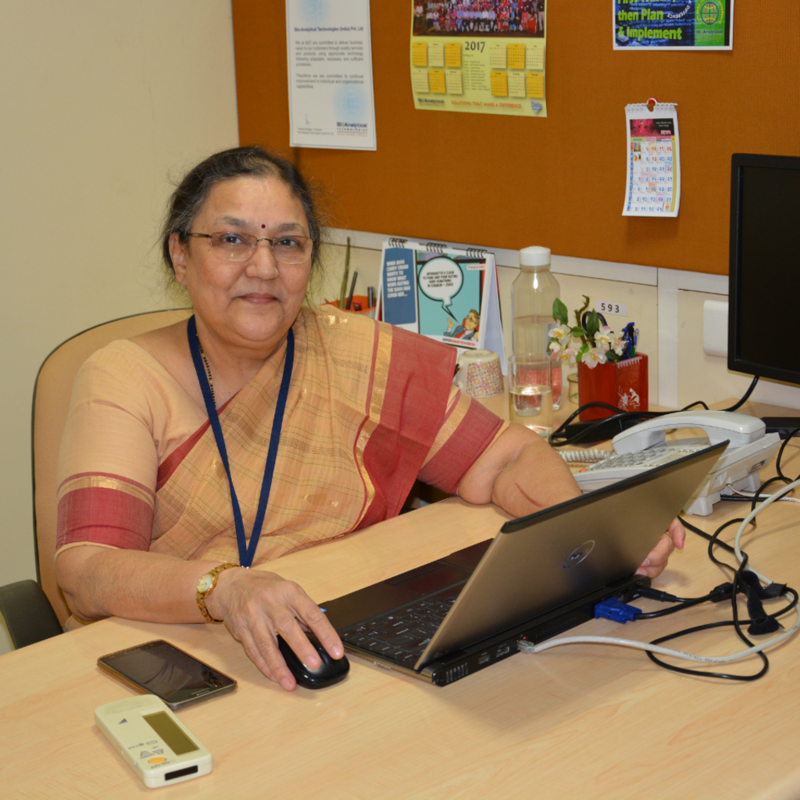 She has been instrumental in setting up Quality Assurance Group within B.A.T. which contributes to all quality initiatives. We are not ‘resources’ in a software sweatshop working on ‘projects’. The practitioners in software development and quality control have several hundred person years of experience. They perform roles like developers, architects, quality assurance engineers, project managers and test managers. We have a team of scientists and chemists with a couple of hundred person years of experience at BAT, working as business analysts, subject matter experts (SME) and application testers. The practitioners in this group also have an equal career experience in analytical research labs, pharmaceutical labs, clinical trial environments and consulting doctors. This team manages an in-house analytical laboratory, which helps the team keep abreast with the latest development in analytical techniques as well as provide analytical method development and validation services. BAT has a subsidiary company Delta Embedded Solutions Pvt. Ltd. that has a huge person years of experience in embedded systems life cycle. The team includes embedded developers, software developers, hardware assembly engineers, embedded architects, quality assurance engineers, project managers and test managers. Supporting the above teams are practitioners in cross cutting functions like quality, human resources, administration, information technology and logistics.